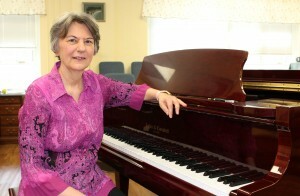 Interested in taking piano or voice lessons? Welcome to Hubalek Studio of Music! 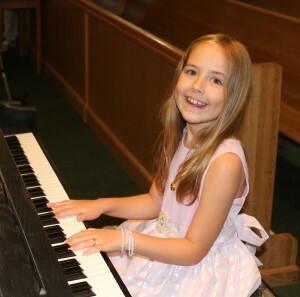 Hubalek Studio of Music provides high quality piano and voice lessons in Catonsville in a nurturing, engaging and creative environment. My goal is to inspire, encourage and equip all of my students with the skills they need for a lifetime of musical enjoyment. I offer a comprehensive curriculum that builds a solid foundation in technique, theory, ear training and sight reading. A variety of musical styles including classical, jazz and pop are explored. While learning to improvise and write music of their own, students develop the skills and confidence necessary for creative expression through music. I have a special interest and many years of experience teaching music to children and adults with learning and developmental disabilities. A curriculum for children and adults with Autism Spectrum Disorder, ADHD and other special needs is designed for the students’ specific needs. Musical potential knows no age limit or disability. Music gives students of all ages a sense of accomplishment, self-esteem and confidence. Music study helps to develop successful life skills such as perseverance, patience and responsibility. Learning takes place best when a student enjoys making music. Community is important. Students and parents are encouraged to get to know one another by participating in community performances, recitals and special workshops. In my studio you will find a strong focus on the individual needs of each student. Special interests in classical, popular, folk and jazz are explored and encouraged. Each student’s strengths are determined and lessons are developed to build a strong musical base. Improvisation and song writing are encouraged in weekly lessons and special workshops. Students are given the opportunity to participate in community performances, recitals and special workshops.